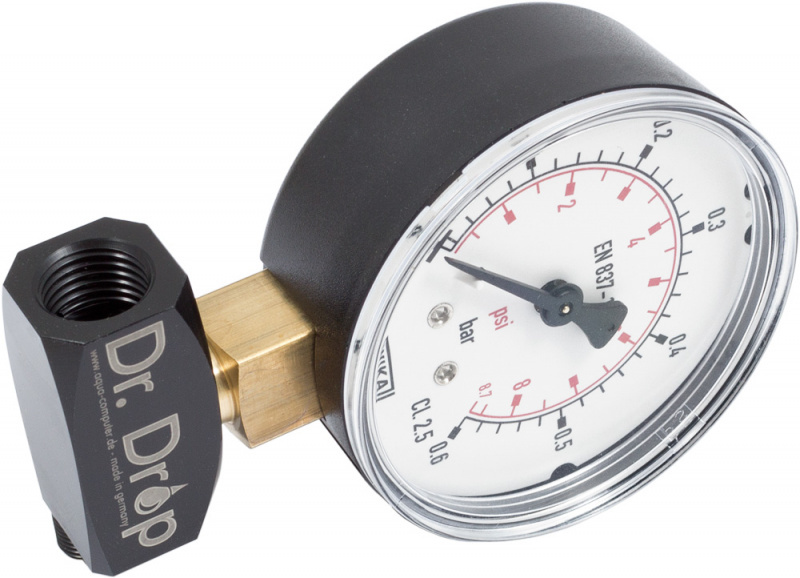 With an air pump for car tire valves (not included in delivery), a test pressure can be applied. 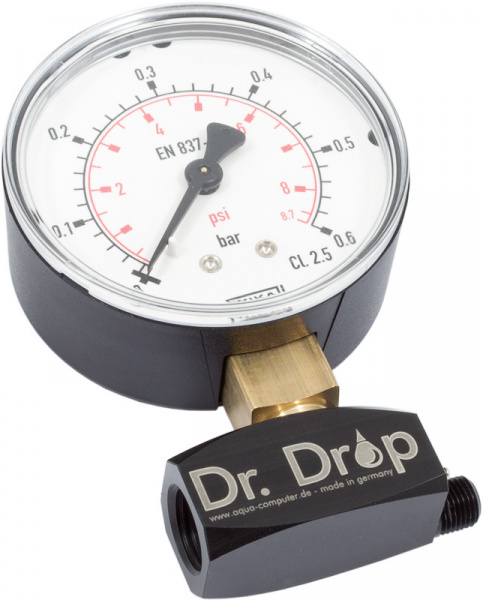 A large manometer with a diameter of 63 mm allows for precise pressure readings. 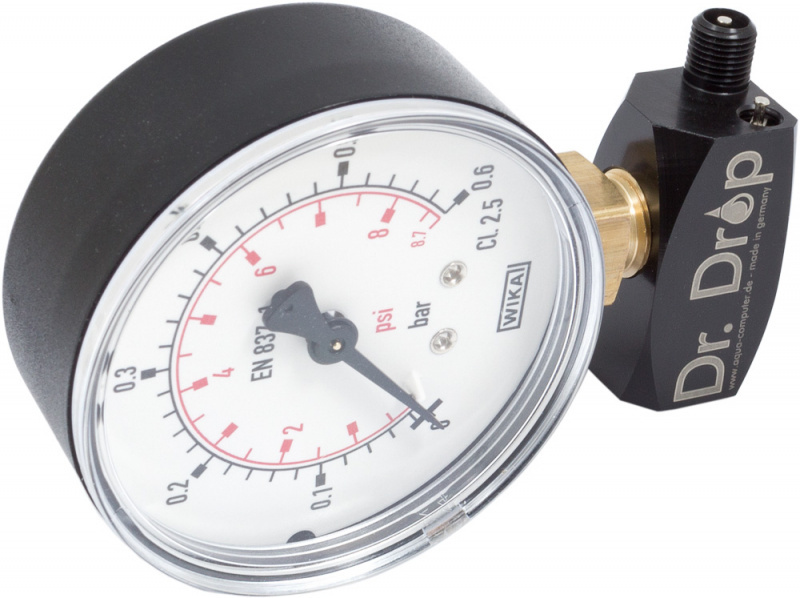 A second valve is included to discharge the pressure after testing. Hose fitting and air pump not included in delivery!